IBM and other companies now claim to be loosening college degree requirements. Here’s an article about companies that are starting to drop college and university degree requirements. I’ve been expecting this for years. I really enjoyed university and much of what I learned on my undergrad engineering degree. However, most of the skills that I required for software development, I learned on the job at IBM on my student internship, not from my undergrad engineering degree. I was very disappointed in the software engineering course that I took in university, as it was primarily droning on about waterfall models and documentation driven development, and had very little substantive content. I learned a lot of mathematics and physics at UofT, but very little of it was useful. I was once really pleased with myself when I figured out that I could do compute some partial derivatives on the job to compute error-bars in some statistical performance analysis, but that one time calculation, was the only non-trivial math I ever used in about 20 years at IBM. In short, most of the specifics I learned at University were of little value. My view of the engineering degree I obtained, was that it was mental training. They tossed problems at us, and we solved them. By the time you were done your undergrad degree, you knew (or at least believed) that you could solve any problem. There’s definitely value to developing that mental discipline, and there’s value to the employer as a filtering mechanism. Interestingly, my first manager at IBM as a full time employee told me that they preferred hiring new engineering graduates over new computer science graduates. That is despite the fact that many of the computer science courses are quite difficult (computer graphics, optimizing compilers, …), and arguably more relevant than all the physics biased courses that we did in engineering. Perhaps that preference was due to the problem solving bias of engineering school? An apprenticeship based recruitment system can potentially save software companies a lot of money, as it should provide cheap labor for the company and a valuable opportunity to learn real skills for the apprentice. It’s a good deal for both parties. You can get paid to learn, vs. going to school and paying to learn things that are not truly valuable. I’ve actually been very surprised that IBM, who is offshoring so aggressively to save money, has not yet clued in that they can hire students directly out of high school (or earlier! ), for much less than the price tag that a university/college graduate would demand. While offshoring is nominally cheap, unless the whole team is moved, it introduces large latencies and inefficiencies in development processes. Hiring out of high school would provide companies like IBM that are desperate to reduce their costs, the chance of acquiring cheap local talent, free of the hassles and latencies of splitting the team to pay some members offshore rates, less benefits, and so forth. Assuming that a university degree is not actually useful, the problem to be solved is one of filtering. How does a company evaluate the potential of an untrained candidate without using (potentially useless) accreditation as a filter? I’d guess that we will see a transition to IQ style testing (although that is illegal in some locals) and a bias for hiring youth with demonstrated interest and proven open source project contribution history. The original owner of my house didn’t like grounding circuits?!! 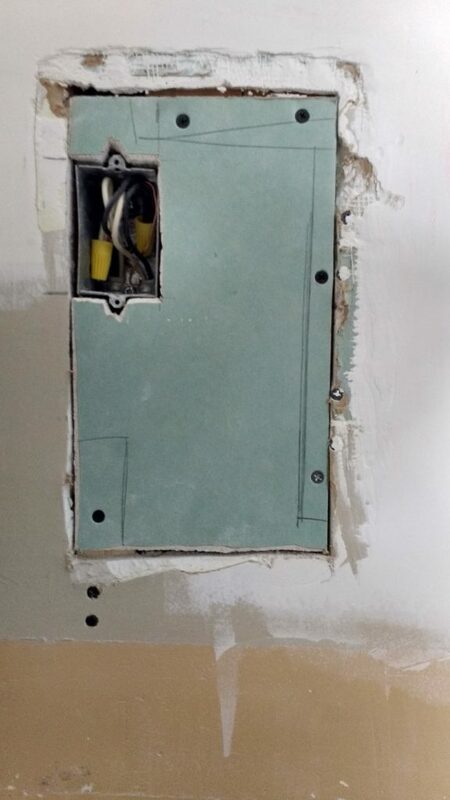 Notice how there’s no ground wire attached to this box. 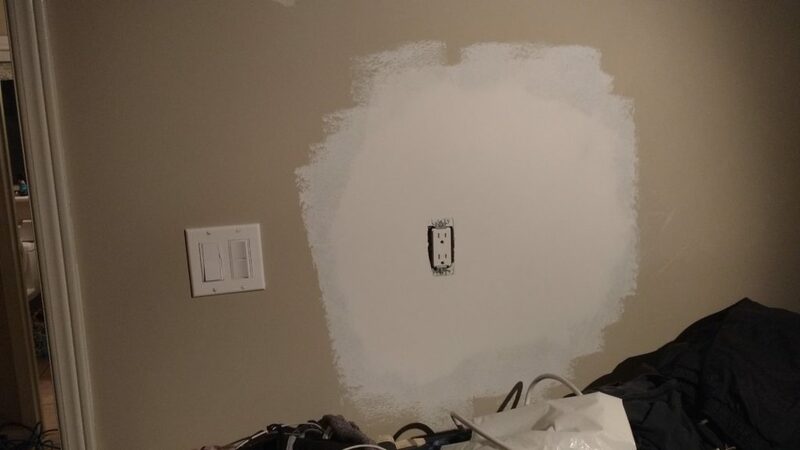 It was even more mysterious before I starting trying to cut into the drywall beside the outlet, which was exploratory. 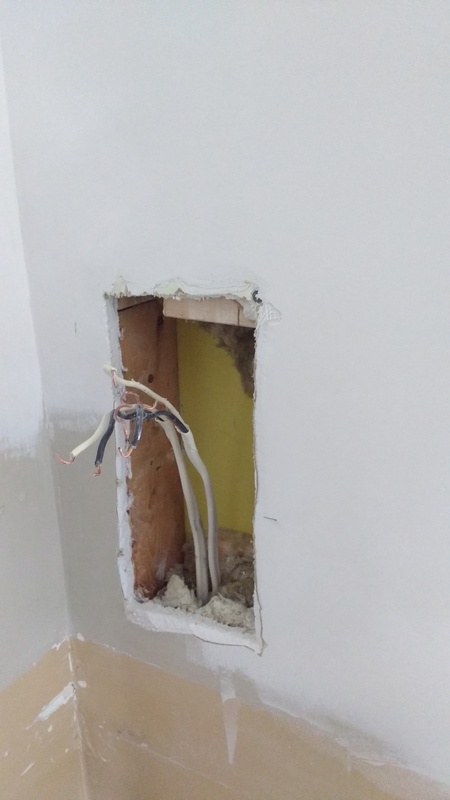 I wanted to see if the ground wire had been cut before it was fed into the box. I was also curious about the non-standard electrical connector (i.e. it’s not a clamp) that had been used to feed the wire through. 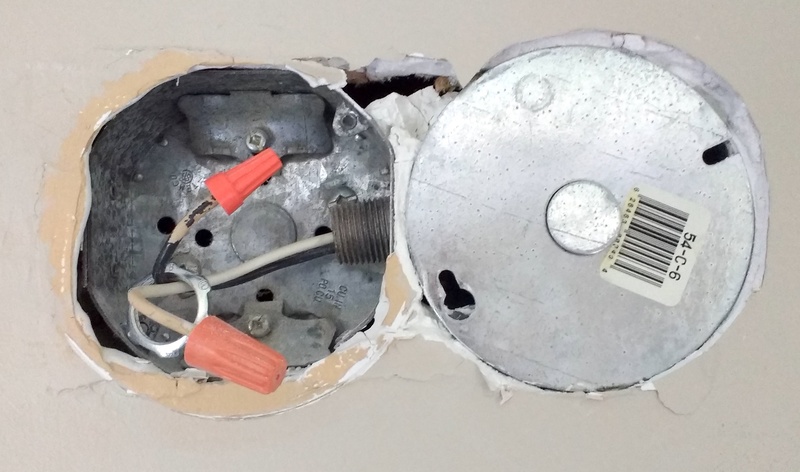 The wire that was fed into the box that the bathroom light was connected to passed through a piece of gas fitting pipe, which was loosely connected with a pair of twisty nuts (one removed in the picture above). 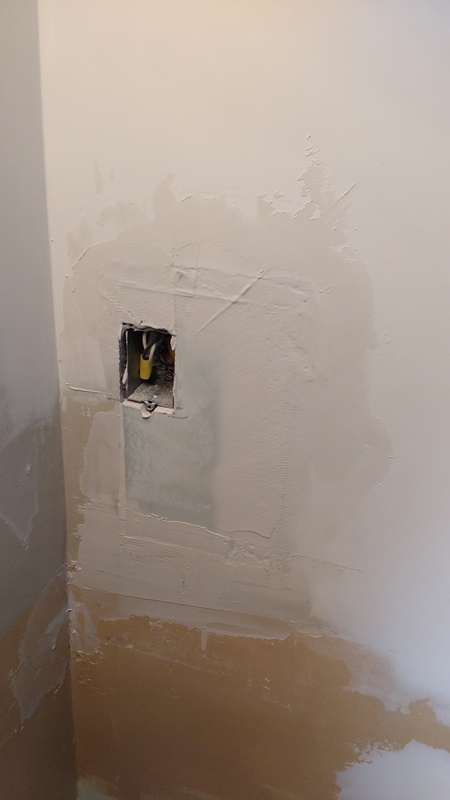 I suppose that there was some ground connection of the secondary box through the gas-fitting pipe, but it wasn’t in very securely, and isn’t what I’d want to protect my house from catching on fire due to bad electrical wiring. 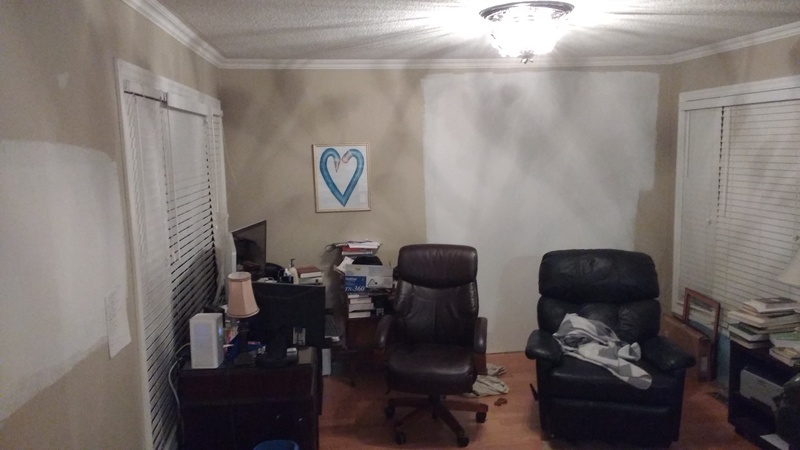 The loosely connected gas fitting pipe. 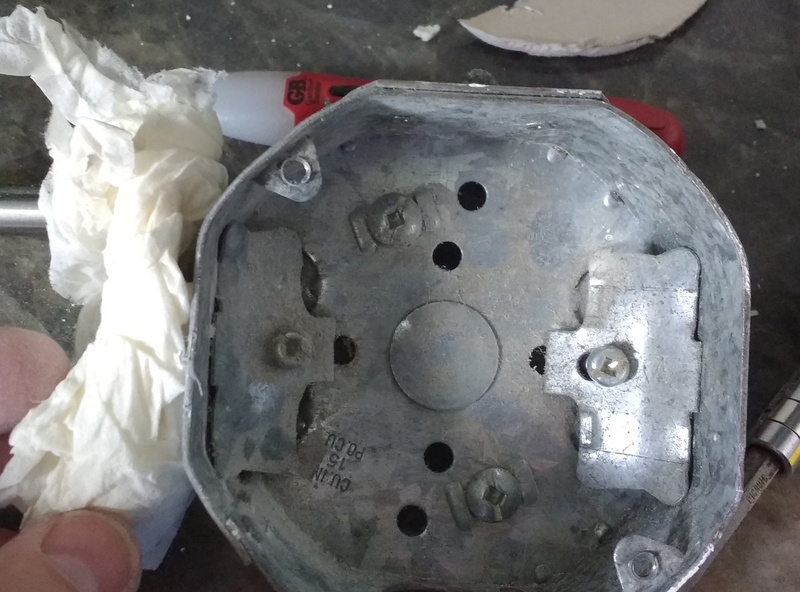 The Kleenex had some drywall compound on it, and it was that combination of drywall compound, Kleenex, and the loose gas fitting pipe that was supporting the light. Needless to say, that light sagged a bit, but I hadn’t gotten to handling it until now. 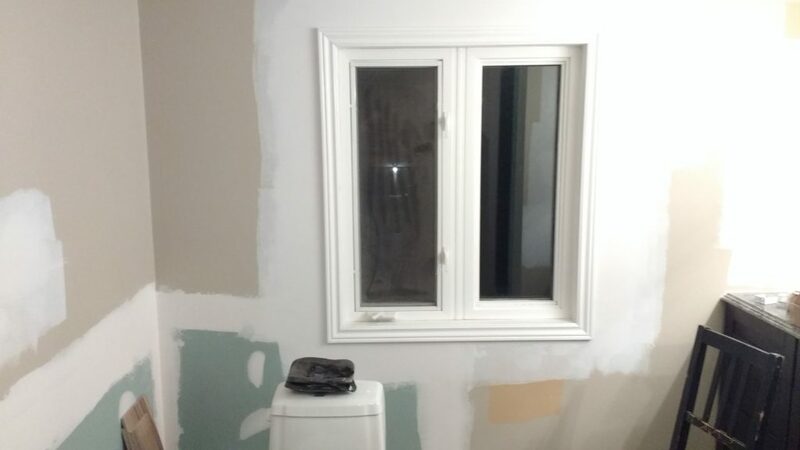 I haven’t actually filled in the hole left by removing the secondary octagon box yet, and have temporarily installed the light in the bathroom so the space is usable. 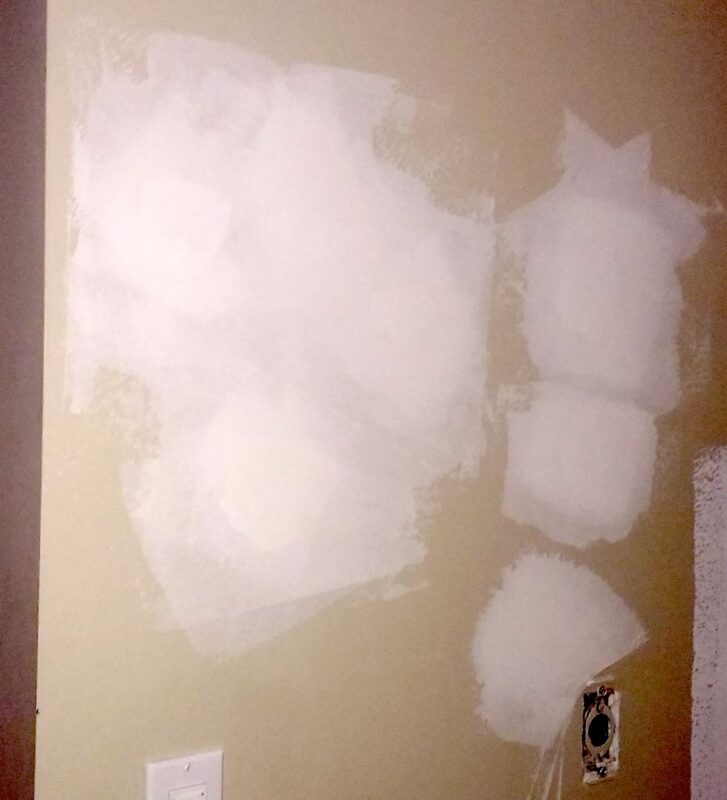 I thought I was almost finished the patching in the bathroom, but now have some more to do. 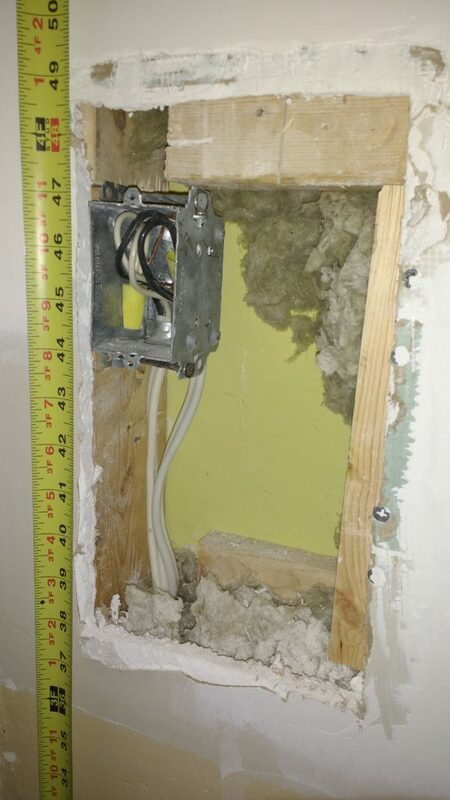 Moving an electrical outlet 4″ up in the bathroom. 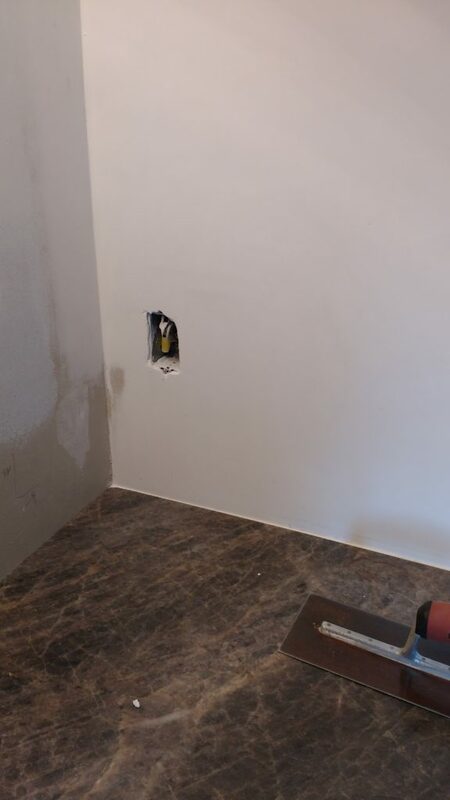 We are putting in a freestanding bathtub in our bathroom, and are having the tile run up the wall up to 42″. 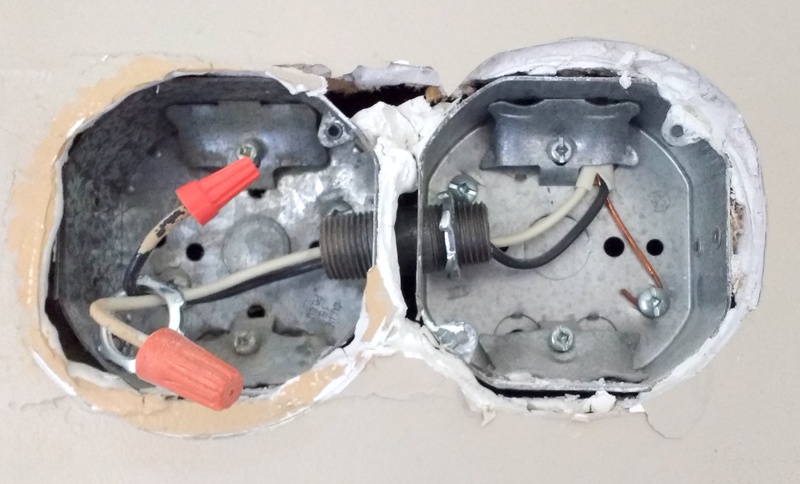 Unfortunately the bottom of the countertop electrical outlet was sitting there at about 40″. When I pointed this out to the tile guy, he suggested that I try to move it, either up or down (but preferably up). 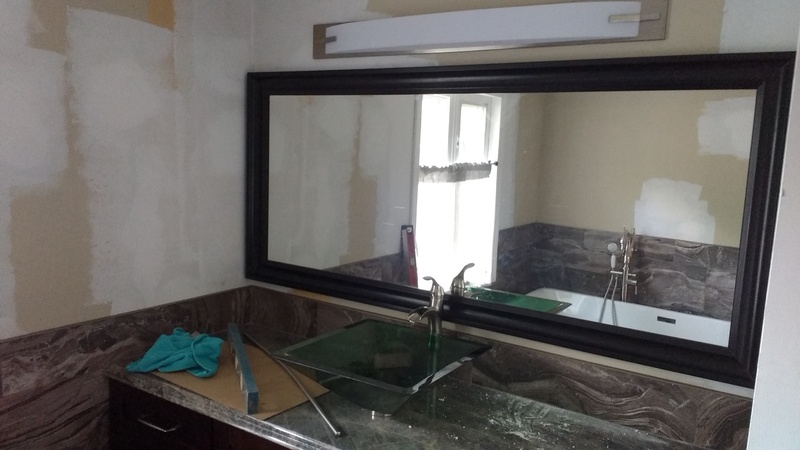 Unfortunately, I’d already done all my drywall repairs on the sink side of the shower (as I’d removed the ugly medicine cabinet), so I really wasn’t looking forward to this task. 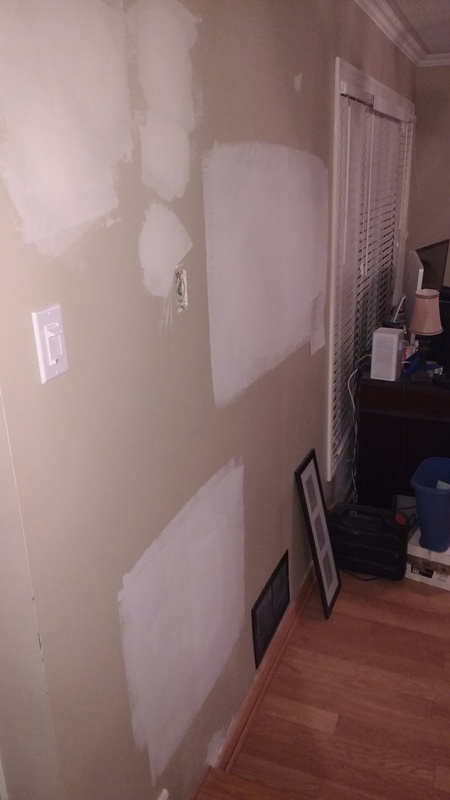 It would have been so easy when I had the wall all open!